I think it's a great idea to learn ID informally, while you apply it to the real world. The challenge, as you note, is to use your beginner's mind--and to ignore a lot of what's done around you. Too much elearning is built on the content-centric, teacher-tells-you model that we're familiar with from school. It's become the default. 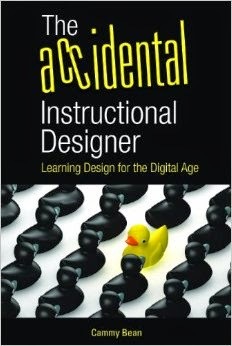 To your list of books I'd add Michael Allen's Guide to Elearning. If you're looking for more links to theory, discussion, and research, I've got a bunch of places bookmarked at my FURL site. The ID theory and research is under the topic "Information design" because I think that's really what most of it addresses.